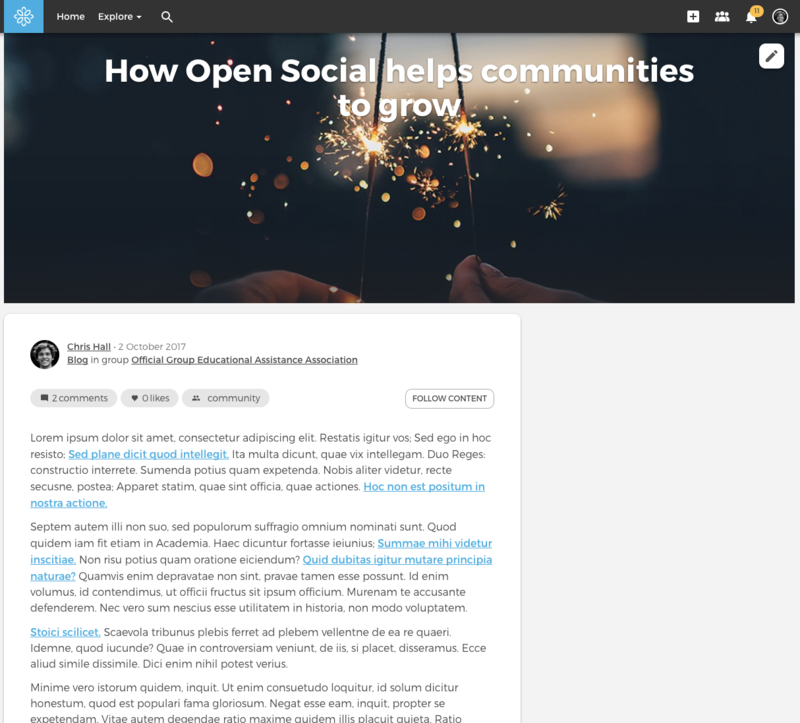 Topic is a type of content on Open Social which allows users to share information or organise discussions. A topic can be a piece of news, blog, document or a discussion. Each topic is tagged with a topic type to make it clear what this topic is about. Topics can be placed in a group or outside a group. 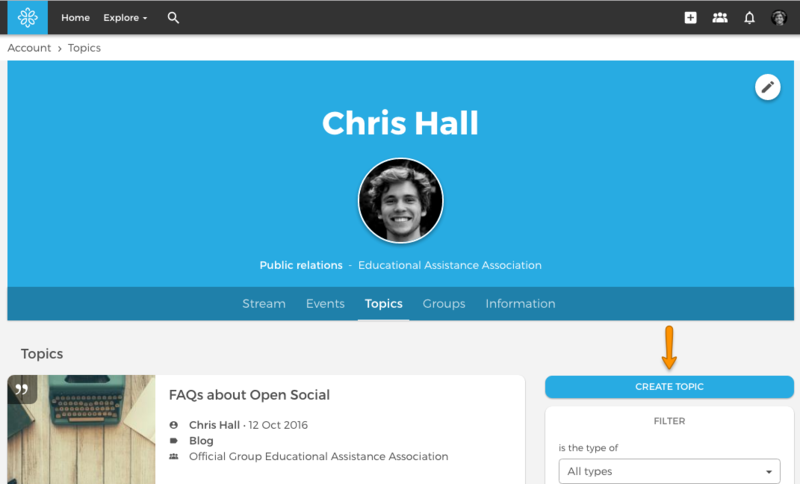 When creating it outside a group the topic is visible on the homepage stream and on the profile of the author or the topic overview in a group. You can create a topic by using the ‘+’ button in the header menu or the button on the topic overview page of your profile. When creating you can either choose to add it to a group or not. 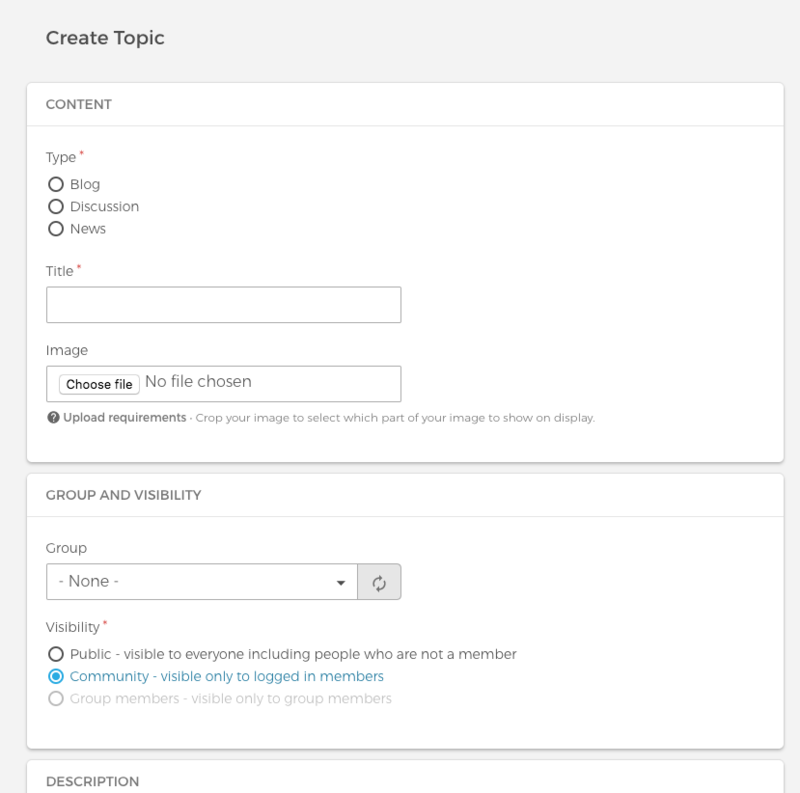 You can also create a topic in a group directly from the group itself. Creating a topic inside a closed group will only be available to members of that group. An author can edit his own topic, but site managers and content managers can edit any topic created by others, unless they are unpublished. Same goes for deleting a topic. This can be done at the bottom of the topic edit page, or Mgmt roles can delete it from the content overview.